Yoga Jai Ma offers a wide variety of yoga classes for beginners and experienced students. Styles include: hatha, vinayasa, gentle, kundalini, prenatal and restorative. 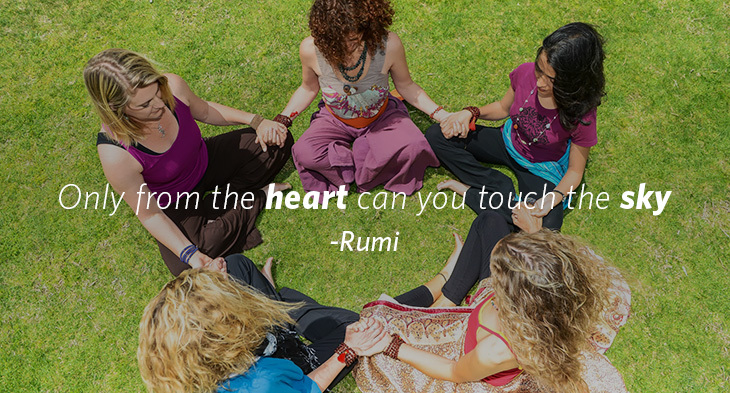 Many of our instructors are trained in the healing arts, bringing a unique quality to our classes. No flexibility required! Introductory Promotion - $50 for 1 Month Unlimited Yoga (New Students Only and covers all weekly classes on schedule, including prenatal yoga. Excludes trainings and workshops). April 2019: Kundalini Yoga Teacher Teacher Training with Ravi Singh. March 26, 2019: Kids Yoga with Terri (Ages 5-10). 5 week series begins. 4pm. Pre-registration required. April 9, 2019: Birthing From Within Childbirth Ed with Shelley. 6-9pm for 5 weeks. May 8, 2019: Free Q&A Session for the 200 Hour Teacher Training. 12:15-1pm. June 23, 2019: Tone, Talk, Heal with Wah! A Mantra Workshop. 1-4pm. Proudly serving North San Diego communities: 4S Ranch, Carmel Mountain, Carmel Valley, Del Sur, Poway, Rancho Bernardo, Rancho Penasquitos, Sabre Springs, Santaluz, Scripps Ranch & South Escondido.